[toc]Morning sickness or pregnancy sickness occurs during the first trimester of pregnancy due to enhanced oestrogen levels, lower blood sugar levels and excess susceptibility to certain odours. It is characterised by vomiting, nausea and uneasiness. Fatigue and lethargy play a big role during morning sickness so make sure you get enough rest at night and during the day. Get a special pregnancy pillow which doesn’t strain your abdomen and back during sleep. Try to take a few naps during the day and avoid exerting yourself. 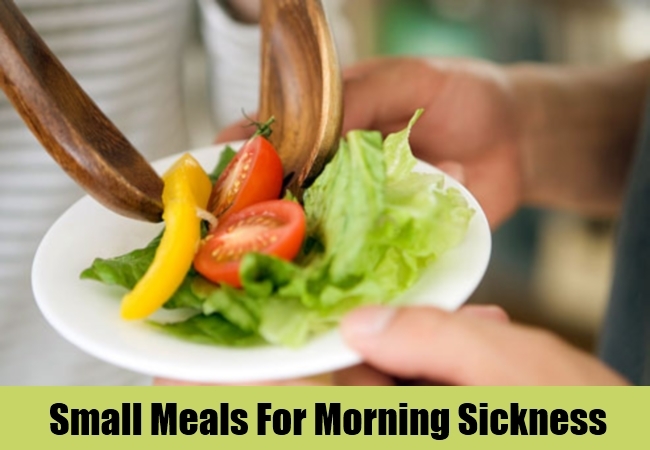 Instead of a full course meal, try having small ones throughout the day to prevent sickness the next morning. Try sticking to natural foods like fresh fruits or baked potatoes to ease the irritation in your stomach. Also, don’t stay hungry for a long time which means keep eating at regular intervals. If your stomach is empty, the gastric acids will have nothing to work on and instead they will attack your stomach’s lining making you feel even worse. An empty stomach may increase the feeling of nausea even more. You should make sure you stick to your usual 8 glasses of fluids every day. If you are dehydrated, you might notice elevation in morning sickness symptoms. Some women do not consume fluids because the vomiting doesn’t let them but you should try and have as much water as you can. If that doesn’t suit you, try having juices or soups that will ease your irritable mucosa of the stomach. Mix honey in water and then have it because it tastes better. It is very effective to soothe the stomach’s lining. 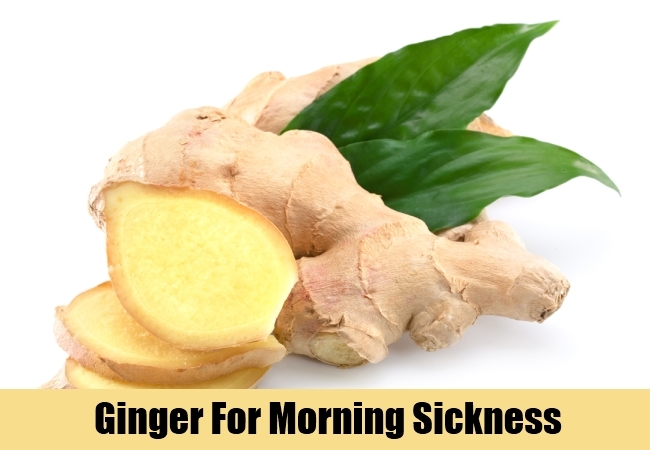 If you have been experiencing morning sickness, ginger will help you prevent it. Try having some cold ginger ale or drop some raw ginger into tea and have it. You could also have ginger cookies to get over the nauseated feeling. 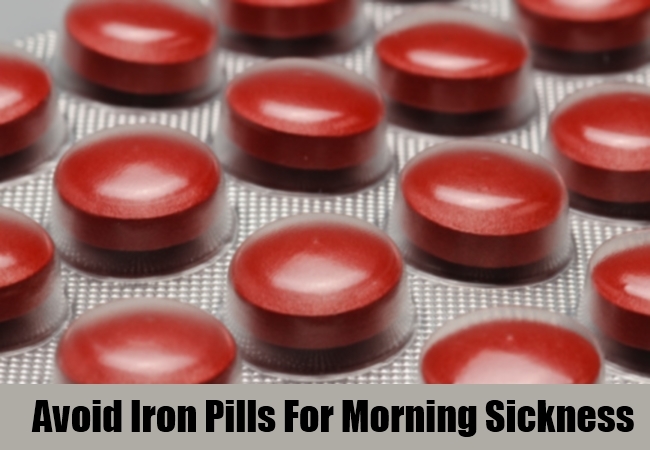 Iron supplements tend to cause acid reflux in the stomach so sometimes women who are pregnant tend to get morning sickness symptoms while they are asked to take iron pills. Try avoiding the pills for a while and check if the symptoms go away. If yes, then ask your doctor to prescribe some other supplements or alternative supplements. It is found that tight fitting clothes tend to aggravate the morning sickness symptoms. Women noted reduction in symptoms once they switched to loose clothing. 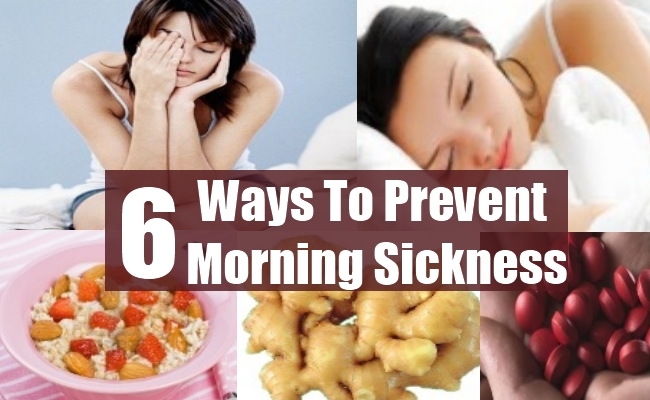 It is very simple to prevent morning sickness using simple methods available at home itself. You do not have to consult a medical practitioner. This is because you know your body better than anyone else; so watch out for the signs of morning sickness and practice easy methods to prevent them.